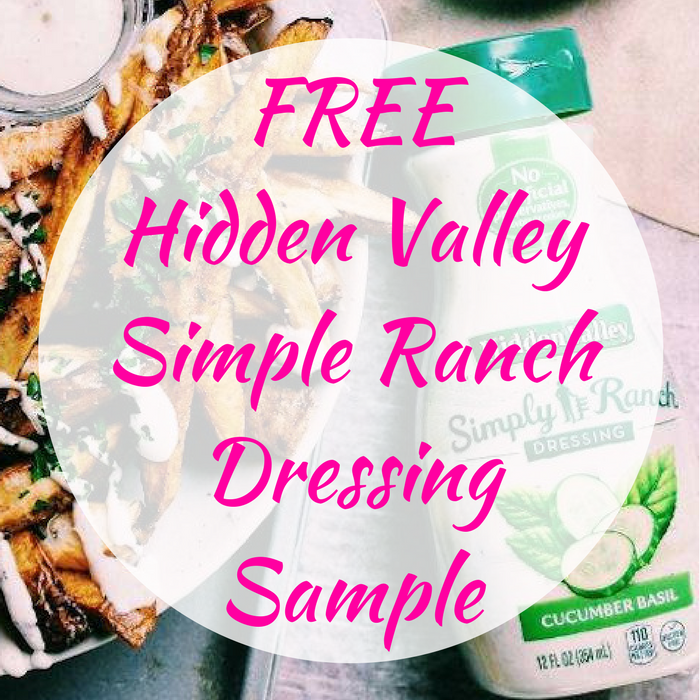 FREE Hidden Valley Simple Ranch Dressing Sample! You are here: Home / FREEbies / FREE Hidden Valley Simple Ranch Dressing Sample! FREEbie Alert! Hurry over here to score a FREE Hidden Valley Simple Ranch Dressing Sample! All you need to do is either sign up or sign in, then click on ‘Samples’ and register! No sweat!